That being said, planning a group vacation in Pigeon Forge can also seem a bit intimidating at first. Between finding the right rental to stay, finding which fun things to do and organizing schedules can feel a little overwhelming. However, it doesn’t have to be. 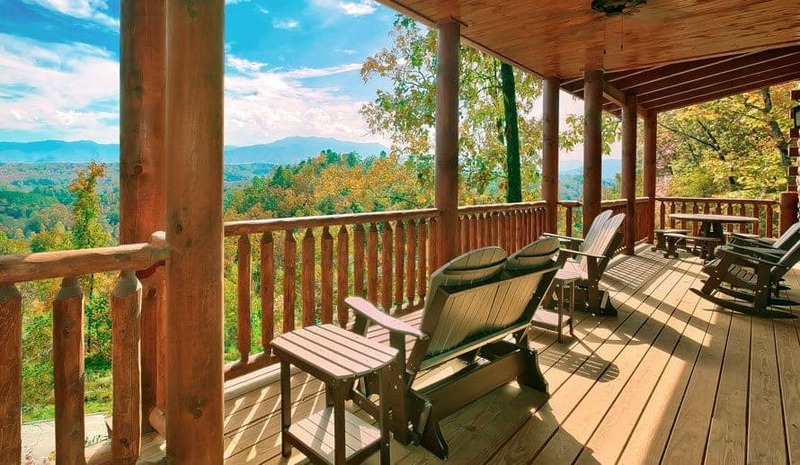 At Large Cabin Rentals, we want all groups who stay with us to have the best group vacation in Pigeon Forge imaginable, and that is why we have put together a few simple tricks that will ensure a flawless trip. 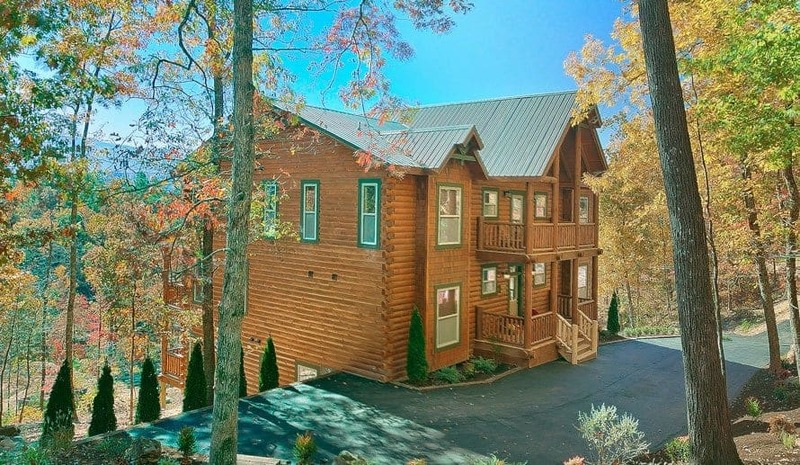 The first step when planning a large group vacation in Pigeon Forge is to determine how many guests you will have, and in turn then decide how large of cabin you will need to rent. At Large Cabin Rentals, we have cabins that range in size from eight to 16 bedrooms and can sleep up to 72 guests under the same roof. On top of that, many of our large Pigeon Forge cabins are located within walking distance of one another, so if you need even more room that can be arranged. Now, knowing that, you will need to know how you can narrow your search even further to find the perfect rental. This is when it is important to decide what amenities you would like to have during your stay. Whether you are looking to spend the evening relaxing by the fire in a fireplace, play a round or two of putt putt inside your cabin, sit back in a hot tub, or have a private outdoor barbecue area, finding the right amenities is really important when searching for a place to stay for your large group vacation in Pigeon Forge. If you have any questions about which amenities are offered by which of our Pigeon Forge cabins, feel free to give our vacation experts a call today. You can also narrow your search by browsing through our online cabin inventory. Did you know there are quite a few attractions in Pigeon Forge and Gatlinburg that offer group discounts? It’s true! And it’s a great way for groups and large families to save money while also enjoying their favorite activities in the area. Click here for a list of our favorite Pigeon Forge and Gatlinburg attractions that offer a group discount. Aside from group discounts, don’t forget if there are any other specials or deals that your favorite attractions offer. For instance, Dollywood and Dollywood’s Splash Country have a special where if you arrive after 3 p.m., you get free admission for the next day. This is almost like having a two for one special on tickets. Eating out during vacation can be expensive, especially when you are traveling with a large group. Cut down on cost or stretch your dollar a little further by choosing to dine at one of the many buffets or family-style restaurants in Pigeon Forge and Gatlinburg. Not only do these restaurants offer great tasting food, but they also ensure that everyone in your group will leave the table feeling full and satisfied. Another alternative to finding a way to save money on eating out cost during a large group vacation in Pigeon Forge is to consider cooking all the meals yourself. At Large Cabin Rentals, all of our large Pigeon Forge cabins offer a spacious fully-equipped kitchen that is perfect for preparing a delicious dinner for your guests. Not to mention, many of these offer a two refrigerators, double oven and two dishwashers to make cooking for a large number of people even easier, from meal prep to clean up. Now that you have a head start on planning the perfect large group vacation in Pigeon Forge, it is time to start preparing to make this trip your own by making your final reservations. With Large Cabin Rentals, you can either reserve our cabins online or you can give our reservation experts a call if you need help. They would be more than happy to answer any and all questions that you and your group may have.